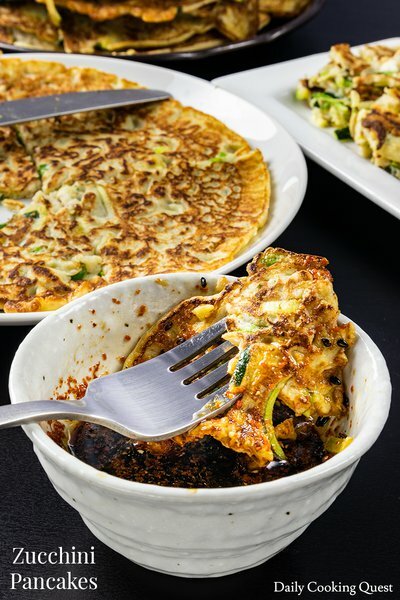 Zucchini pancakes are really easy to make. 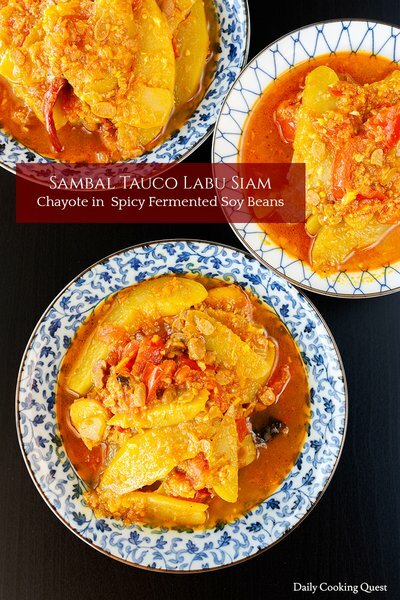 Treat it as breakfast, or one of the many side dishes for lunch/dinner, or snack. 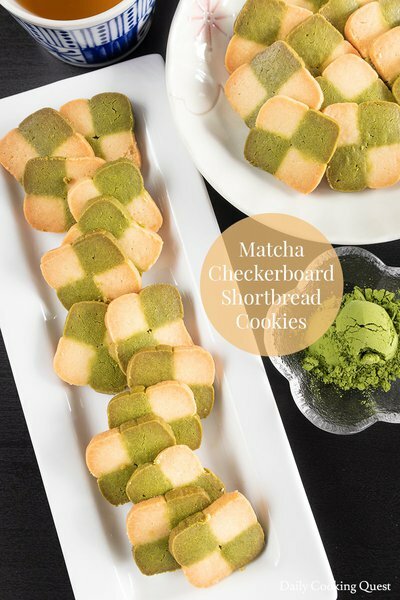 Rich, crumbly, and not too sweet matcha checkerboard shorbread cookies. 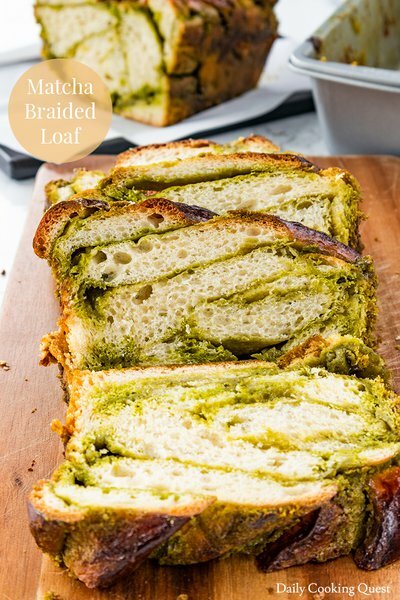 Super easy to make and you can use up your matcha making cookies to share with friends. 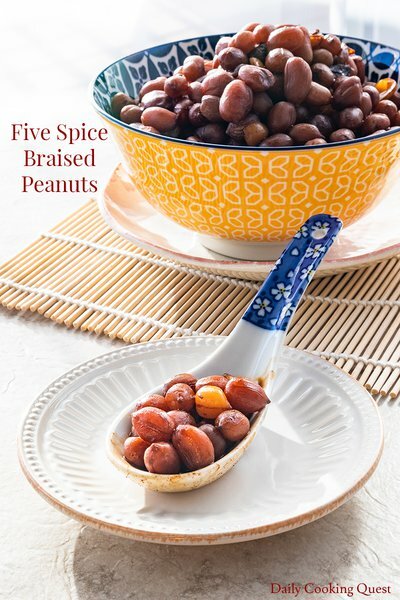 Super easy recipe to make old fashioned Chinese five spice braised peanuts even a newbie cook can replicate at home. 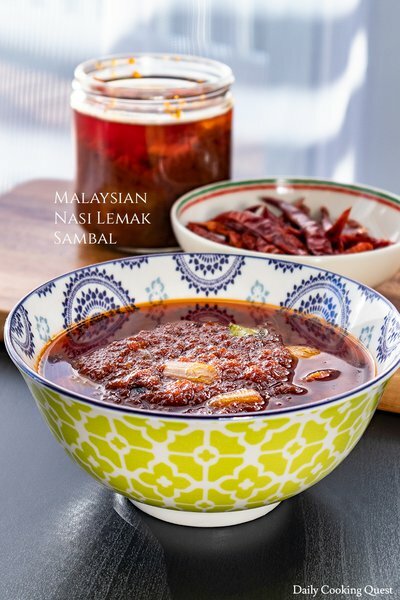 Stock up on this delicious sambal to go with your Malaysian nasi lemak, or we are quite obsessed with the sauce and use it with everything. 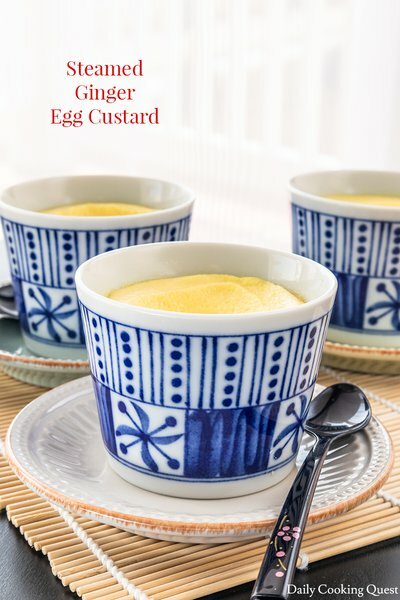 Steamed ginger egg custard is a very traditional Chinese dessert using only 4 ingredients and cooked in a steamer. 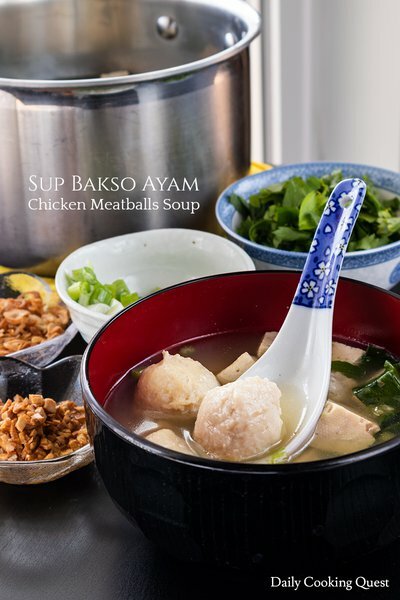 Sup bakso ayam (chicken meatballs soup) can be enjoyed as is, or you can boil some rice noodles, ramen noodles, udon, e.t.c. 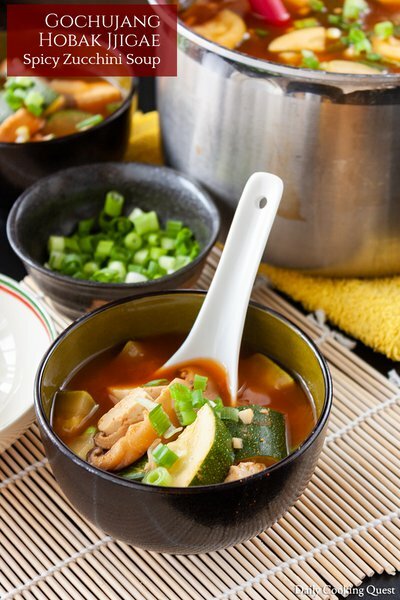 to make a complete meal. 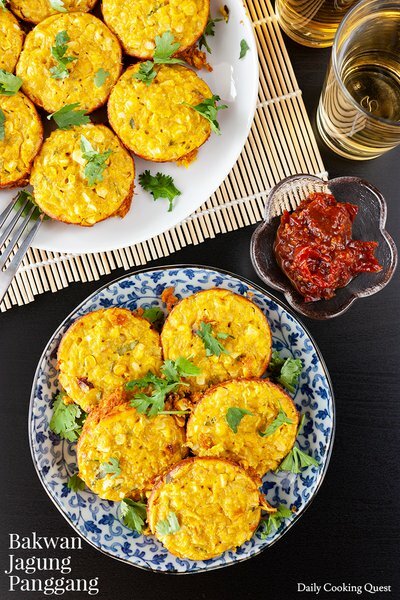 An oven-baked version of bakwan jagung (Indonesian corn fritters) recipe. Easier, quicker, and less oil compared to regular deep-fried version. 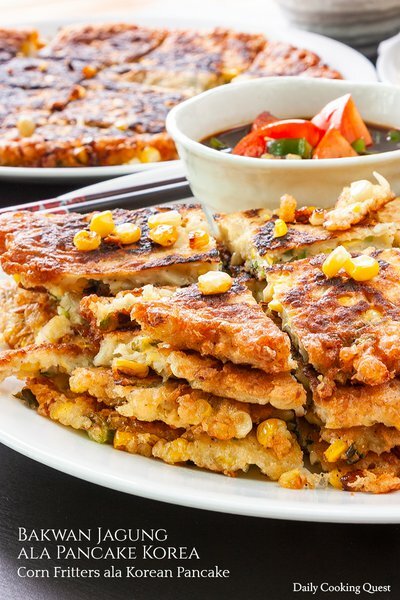 Bakwan jagung (corn fritters), a popular Indonesian street food, prepared in the fashion of Korean pancake. 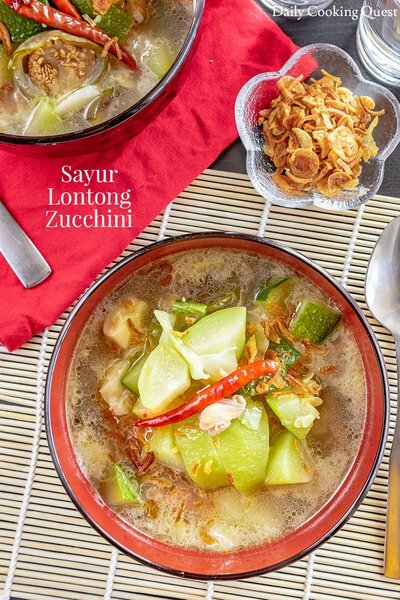 Serve with sambal kecap tomat.